DBMK – “Heartscam”: DBMK seem to have found that happy medium between Twenty One Pilots and The 1975, while occupying a space all their own. Their newest single “Heartscan” seems to further make a point of this. I appreciate the band’s ability to make effective use of space in this song, often trading bombastic grooves for silence. It keeps the listener on their toes without throwing them off the rhythm. This single is built for arenas, and this might be where DBMK is headed if they keep churning out this stuff. Shakey Graves – “Mansion Door”: Is it weird that the first thing I thought of when I heard that guitar melody was the theme to The Twilight Zone? I doubt that’s what Shakey Graves was going for. But the weird middle ground between indie and folk rock seems to be toying a bit with surrealism and uncertainly. Organic yet off kilter – like a tamer painting from Salvador Dali. DREAMS – “No One Defeats Us”: This has the potential to be an iconic new duo. Luke Steele of Empire of the Sun and Daniel Johns of Silverchair join forces in a booming new single, that is as straightforward as you might expect. It’s not as fantastical as you would expect, given the presence of Steele, but there are still otherworldly elements to whet the appetite of those impatient for the next Empire of the Sun release. The song functions as a statement of sorts. Simple, yet assertive. 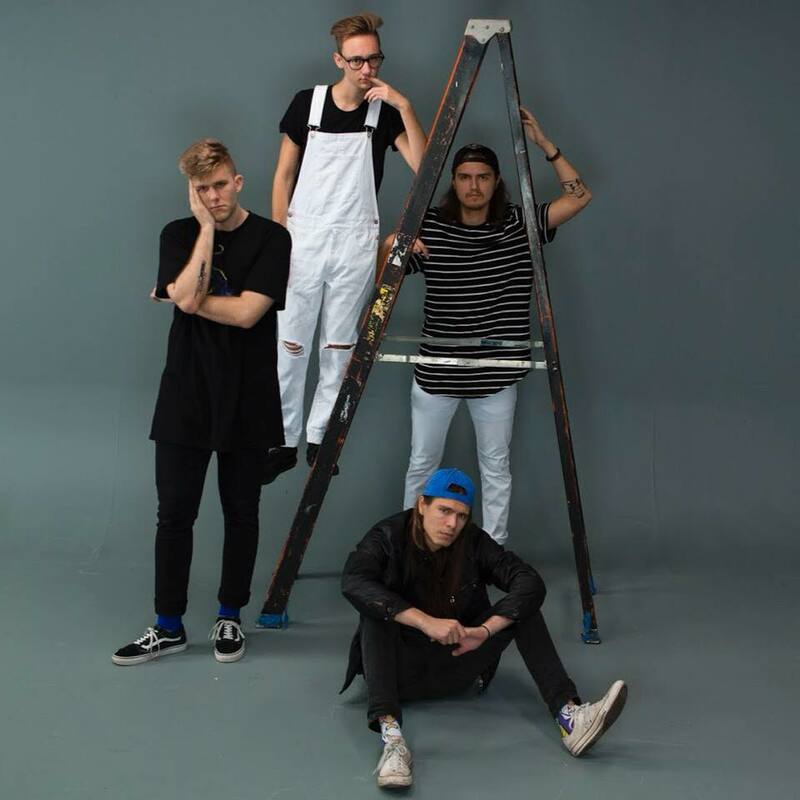 Rise Among Rivals – “Empty Love Scene”: If you’ve read any of our writer Topher’s reviews you probably know that he’s big proponent of the notion that nu-metal isn’t dead. I’m not wholly convinced it isn’t dated, but I do know that this song by Rise Among Rivals rocks. It’s nostalgic and catchy in all the right ways. Fans of Chevelle, Story of the Year and Breaking Benjamin will all find things to love here. Plus, that chorus probably isn’t going to leave my head for a hot minute. PLNT9 – “Let Loose”: Ya know, I was going to try to be diverse with these single reviews, but at the end of the day I was looking for something that moved me. Or rather, made me move. Call it cabin fever, but PLNT9 was a cure for whatever stir-crazy mood ailed me at the time. This single from the LA based hard rock trio is radio-ready and is some good old fashioned hard rock n’ roll. MOURN – “Barcelona City Tour”: I’m always impressed when a band takes several elements that, on paper would lead you to believe the band has a certain sound, and use them to convey an unexpected effect. Take MOURN for example. The melodies are off kilter. Lots of minor keys. They shout-sing with urgency. The grooves are dark. And yet, the end result is something bouncy and fun – at least in the case of this song. Bonus points for a nice, non-cheesy handclapping chorus. Souther – “Golden Hour”: As I sit here in my living room, it’s after midnight, and I should go to bed. This song is a good one to wind down to. Not sleep inducing, but it’s a good reminder that life isn’t a nonstop party. Yet, you can have fun in the quiet moments nonetheless. “Golden Hour” is longing for what was and what is to come, and is one of the band’s strongest releases yet. Carly Fratianne’s vocals are on point and arguably underrated in comparison to her guitar ability, of which word is rightfully spreading quickly.